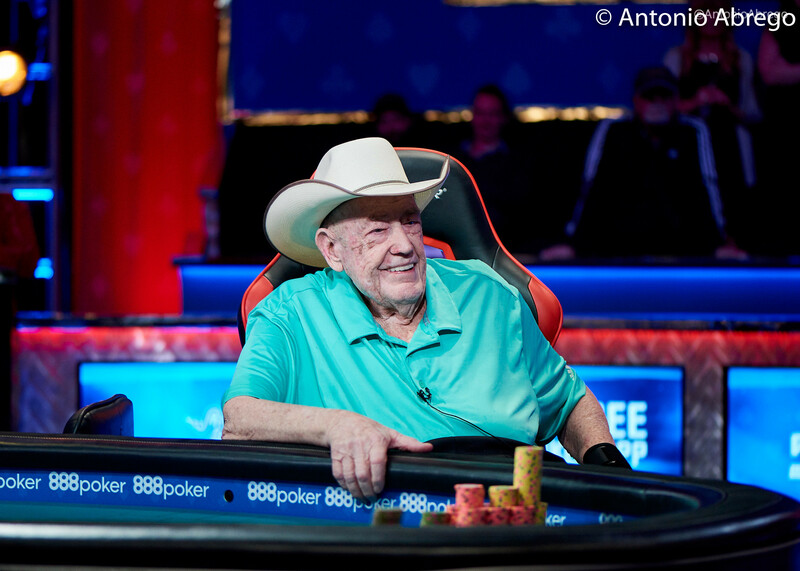 When the final day of Event #23: $10,000 2-7 Single Draw Championship began, all eyes were on poker legend Doyle Brunson. The icon had already declared it to be his final run at a World Series of Poker gold bracelet, the last chance to add to his lofty career tally of 10. In the end, Brunson came up short and a different champion emerged. Perhaps, a fitting one for the occasion. 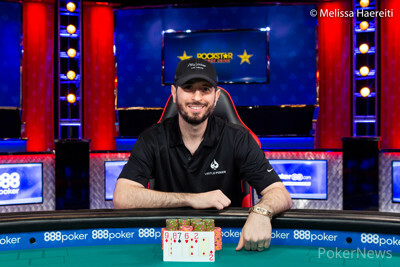 Brian Rast claimed his fourth WSOP bracelet and $259,670 for getting through the small field of 95 entrants. While Rast has a very, very long way to go until he can measure up to the incredible exploits of "Texas Dolly" — and it may indeed be impossible — his career path doesn't look entirely dissimilar. He's now picked up four bracelets at age 36, including two prestigious Poker Players Championship trophies, and has been a regular participant in some of the biggest live cash games for several years. He admitted that while the bracelets are special, his main goal in poker is to follow in Brunson's footsteps and become a nosebleed mainstay for decades to come. Brunson himself said his greatest accomplishment in the game has been spending 60 years at the top of the cash food chain. "It's not easy," Rast said. "Whether or not I win another tournament – I hope to – but that's what I really want to do." A fast early pace saw Brunson make the unofficial final table and even gain some early momentum and climb into the top half of the counts. At that point, crowds usually reserved for late in the summer in the heat of the Main Event began to gather. Folks on the rail pointed their cameras at Brunson and snapped photos, eager to show friends evidence they watched the living legend in person. Applause followed each pot Brunson dragged as the crowd tried to will him to write what would have undoubtedly been a poignant moment in poker history. Brunson was the main attraction. For Rast, playing with Brunson in the deuce tournament just meant he was playing with tournament chips instead of cash chips. The two regularly battle over limits like $2,000/$4,000 and $3,000/$6,000. 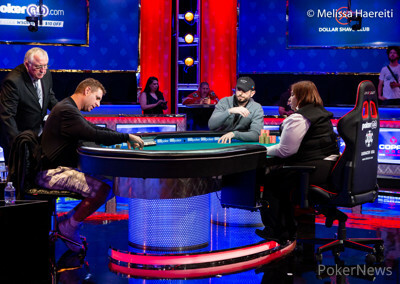 However, Rast still appreciated the magnitude of playing a part in poker history. "I could still take a step back and appreciate from the poker world's perspective," he said. "He's played high-stakes poker longer than anyone. He's an icon, he's a legend. I could really appreciate from that perspective how special it is." Brunson even doubled through Rast at one point, with Rast breaking one of his personal rules: don't wish any opponents good luck at a final table. Rast finds the practice a little disingenuous but said for Brunson, he had to make an exception. Brunson climbed up to third in chips with seven left but appeared to hit a wall. More aggressive, younger opponents Rast and Dario Sammartino took command of the table. 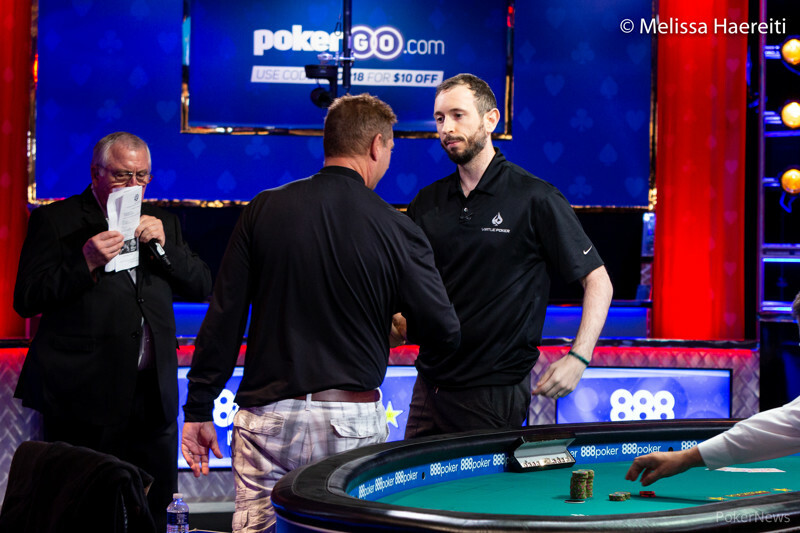 After bleeding chips for a while, Brunson got the last seven big blinds in drawing to an eight-six against the ten-nine draw of James Alexander. The icon was outdrawn for the final time at the Rio when he pulled a king and Alexander made his hand with a deuce. Rast and Sammartino appeared to be a cut above their remaining competitors. However, three-handed, they butted heads and Rast made a big call with a king-ten after drawing two against one, taking down the pot to reduce Sammartino to the short stack. Sammartino made a strong run but fell in third. 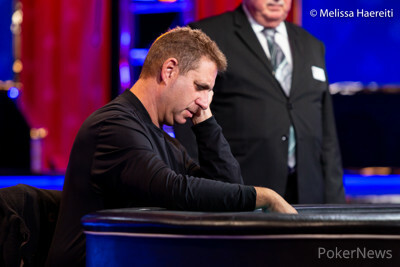 Mike Wattel then laddered past the Italian but never appeared to pose a serious threat to Rast's chip lead and got ground down after a lengthy heads-up match that involved mostly small-pot poker. Rast's cash game experience — 2-7 single draw is a regular part of the mixes he plays — has made a world of difference when comparing this 2018 run to a fourth-place finish in this same event in 2014. At that time a relative novice, cutting his teeth against the best in the world in nosebleed cash games has hardened him into tempered steel that can cut through even a tough lineup. "There were multiple hands where I felt like I had pretty good reads," he said. "I caught someone snowing. I picked off bluffs. I definitely got more bluffs through than got called. "I felt like I had a very good sense of what was going on. At this point, I'm a good enough no-limit single draw player to really apply it to specific situations and know what to do with specific hands." 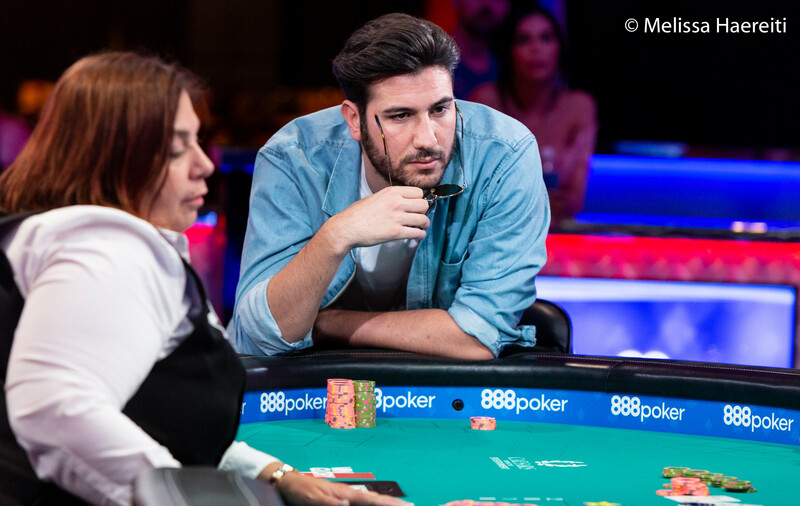 While bracelets remain secondary to Rast's stated goal of cash game dominance, he admitted there's still something special about a big tournament run. "I definitely get a little more of a rush here, at the final table of a tournament," he said. It's that rush that will keep Rast returning to the Rio for more bracelet events. And it's that hunger to continue to succeed in the big cash games that keeps Rast motivated to keep working on his craft. As long as he keeps battling with the world's best, he'll remain a force wherever he chooses to play. While one legend rode off into the tournament sunset on Tuesday night, perhaps an emerging one wrote the next chapter in his story. Brian Rast raised to 170,000. Mike Wattel jammed for 1,270,000. Rast tanked about 90 seconds and called. Both players patted. Rast shook his head and showed . Wattel had and that ended things after a long heads-up match. Two-time bracelet winner Wattel will remain at two for the time being and he took home $160,489 for his efforts. Mike Wattel raised to 130,000 and Brian Rast called. Rast took one and Wattel two. Rast came out betting with 205,000. Wattel made it 400,000 more and Rast mucked after only 15 seconds or so. Mike Wattel raised to 130,000 and Brian Rast called. Rast drew two and Wattel just one. Rast checked, and then called a bet of 200,000 from Wattel. Rast showed and took down the pot. Brian Rast raised to 130,000 and Mike Wattel called. Each player drew two and Wattel checked. Rast put in a bet of 205,000 but couldn't beat a jack-ten low when Wattel called him. Mike Wattel raised to 130,000 and Brian Rast called. Rast drew two and wattel just the one. Brian Rast raised to 130,000 and Mike Wattel called. Wattel only needed one while Rast took two. Ahead in the draw, Wattel bet out 200,000. Rast appraised his opponent and called but couldn't beat .